Like millions of hapless people around the world, you have the apartment set from Seinfeld emblazoned on your eyelids. You blink and there it is, waiting. You'll never not know what it looks like. Now, if you own an Oculus Rift headset, you can strap it onto your head and walk around it. It's almost like you're inside Kramer's head, wandering around for something to eat. I've been a fan of Seinfeld for a long time. After purchasing the Oculus rift I started imagining what my first project might be. I decided to pick a project that would gradually introduce me to Unity without being overly complex. I was not new to 3D modeling, however this would be my first project in Unity. 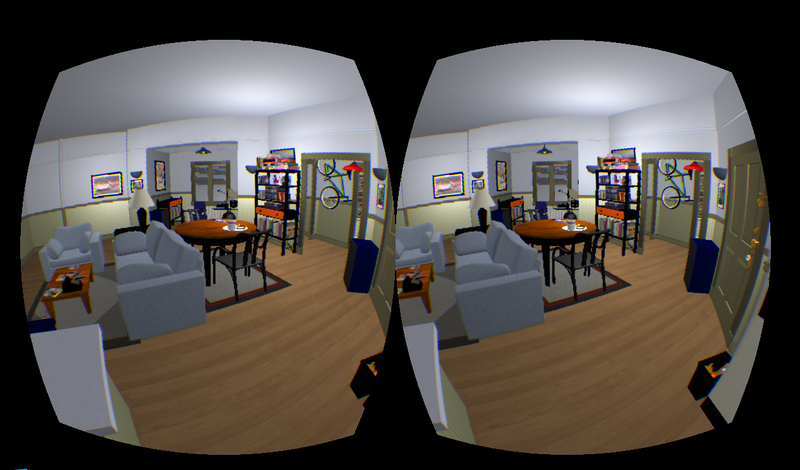 I came up with the idea of recreating Jerry's apartment, in it's entirety for virtual reality. For those who already have Oculus Rift headsets in their homes, you can download a demo of Jerry's Place right here.